The new mandatory SECR framework will come into effect at the same time that the current CRC Energy Efficiency Scheme (CRC EES) will be phased out. SECR will align with existing initiatives, such as the Energy Savings Opportunity Scheme (ESOS) and extend the scope of the existing Mandatory Carbon Reporting (MCR) regulations for listed companies to all large organisations. The new regulation, based on the annual public disclosure of UK energy use and carbon emissions, will present both challenges and opportunities for reporting companies. Here is what you need to know. Who will need to report? All UK registered quoted companies will continue to report global GHG emissions and intensity metrics in their annual reports, as per the MCR. In addition, SECR requires them to report total underlying energy use and energy efficiency actions taken. Companies using 40,000 kWh or less of energy in the 12-month reporting period will be exempt, as will those unquoted companies where ‘it is not practical to obtain information’. Carbon emissions and environmental disclosures will build upon the existing mandatory GHG reporting requirements and ESOS. The CRC will be phased out and will be replaced with the Climate Change Levy (CCL). There will be an increase in the CCL rates from April 2019 and a rebalancing of the CCL rates for gas and electricity. 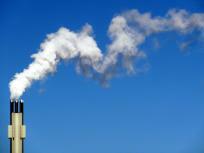 For GHG emissions, Scopes 1 and 2 will be required with Scope 3 reporting remaining voluntary. For the GHG calculations, details of the methodology and a suitable carbon intensity metric is also needed. Energy in the scope of the new SECR legislation includes all UK electricity, gas, and transport (road, rail, air and shipping) energy use. Energy and emissions reporting is likely to be global, not just UK based. Energy efficiency actions taken in the reporting year must be disclosed, but organisations are not asked to describe future opportunities they could take. The impacts of the new legislation will vary depending on your current situation. If you are already reporting under Mandatory Carbon Reporting (MCR), there is little change except for the addition of the inclusion of energy use and energy efficiency measures. It’s likely that most organisations who have had to submit a return for the Energy Saving Opportunities Scheme (ESOS) will also be required to report to SECR. A company’s preparation will be highly dependent on what information they already capture. However, the process of evaluating what additional data needs to be collated remains the same. Organisations should initially undertake a gap-analysis to determine which areas are not currently being reported on and then put a data collection strategy in place. Businesses should examine data-collection processes to ensure they are not doubling efforts and use a centralised data collection system where possible. It’s likely that you are already collecting some data required under SECR for existing frameworks such as CRC, ESOS or CDP. You should ensure you communicate your reporting and data collection requirements across the business to streamline efforts and ensure the same data is not being collected multiple times. Greenstone’s Client Services team of sustainability reporting experts is already advising a number of organisations on how to prepare for SECR. Greenstone’s enterprise software is designed to enable organisations to meet multiple reporting requirements through automated and centralised data collection, management, analysis and reporting. Please contact us if you have any questions about SECR or your broader sustainability reporting strategy. For more information, you can read the Government’s full response on SECR.